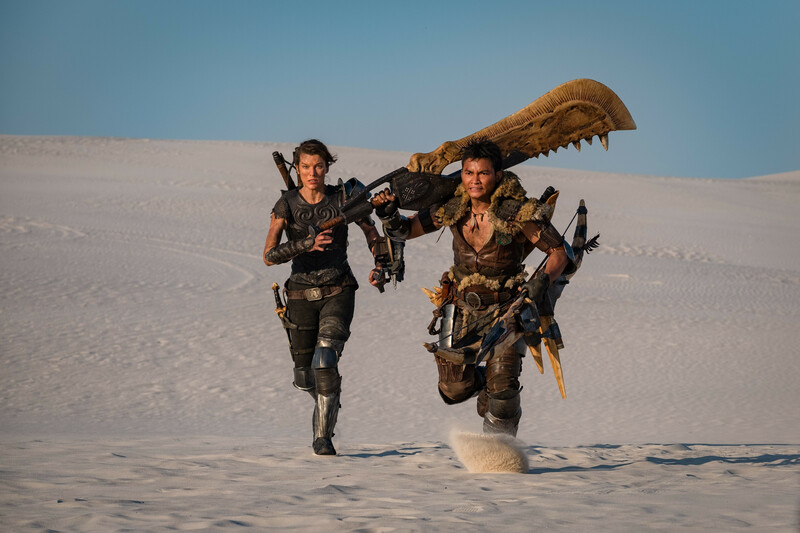 The Milla Jovovich Monster Hunter movie now has a release date as Sony Pictures announces it will bow on September 4, 2020, the start of Labor Day weekend. Details include that Jovovich's husband and Resident Evil director Paul W.S. Anderson is helming and writing the flick, which is based on the Capcom video game, with the movie also starring Tip “T.I.” Harris, Meagan Good, Diego Boneta, Josh Helman, Jin Au-Yeung and Ron Perlman. Monster Hunter is described as: Behind our world, there is another: a world of dangerous and powerful monsters that rule their domain with deadly ferocity. When Lt. Artemis (Milla Jovovich) and her loyal soldiers are transported from our world to the new world, the unflappable lieutenant receives the shock of her life. In her desperate battle for survival against enormous enemies with incredible powers and unstoppable, revolting attacks, Artemis will team up with a mysterious man who has found a way to fight back.